Haymarket Media Group is to invest £50m over the next three years and create more than 100 jobs in a new division, Haymarket Automotive. 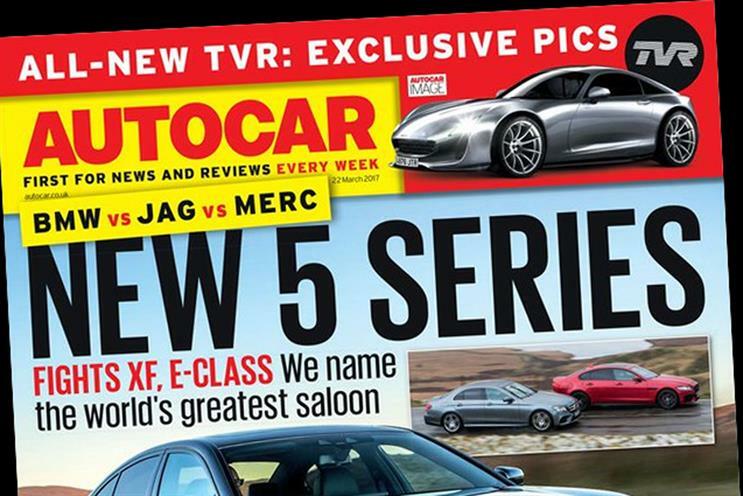 The company’s market-leading brands, What Car?, PistonHeads and Autocar, will form Haymarket Automotive, which has previously been part of Haymarket Consumer Media. One of Haymarket Automotive’s main aims is to tap into the £85bn-a-year retail market for new and used cars. It will connect car-buyers with dealers and manufacturers, who will pay a monthly subscription fee. "The enlarged business will operate a single digital platform, enabling car-buyers and sellers to interact, use data and consume content produced by all three power brands," the company said. Kevin Costello, the chief executive of Haymarket Media Group, described the £50m investment as "transformative" and the group is targeting a four-fold increase in revenues from Haymarket Automotive within five years. Costello said: "This new division represents the single largest organic investment in our company’s history, reflecting the exciting growth prospects for media-content and services for new and used cars." "Since the launch of What Car? in 1974, Haymarket has built some of the most authoritative titles in the industry. We will offer even more valuable content, price-comparison and dealer information in an automotive media segment that Haymarket helped create." What Car?, PistonHeads and Autocar have a combined monthly audience of 5.2 million unique users and around 1,000 "in-market" buyers visit What Car? every 15 minutes. The new investment will be used to hire more than 100 staff, in areas such as content, data and transaction information, and to upgrade technology, including moving all the titles to a single content management system. Rachael Prasher, who is currently the automotive group brand director, has been appointed managing director of Haymarket Automotive. She said: "This funding gives us the opportunity to fulfil the untapped potential of the What Car?, PistonHeads and Autocar brands, and sets us free to invest and innovate at a faster rate than ever. "We have been working on this plan for more than a year, and Haymarket Group’s decision to meet our ambition with the funding required kick-starts the transformation of our business on every level." Prasher’s executive team will include Paul Shoesmith, commercial director, Jim Holder, editorial director, Richard Harding, digital director, and Mark Hodson, marketing and audience director. Haymarket Automotive’s staff will rise to over 200 in the medium term. It will have its own offices in Premier House in Twickenham, south-west London, which is located 100 metres from Bridge House, the headquarters of Haymarket Media Group. The media company’s other titles include Campaign, PRWeek, What HiFi? and FourFourTwo. The UK market for new and used cars is growing, with over 10 million vehicles sold last year.